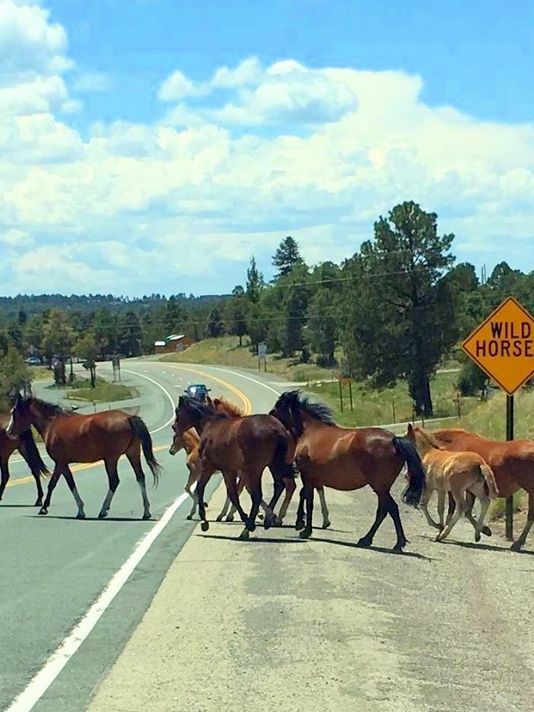 With their mandatory period of isolation expired earlier this week, the “wild” horses of Alto rounded up in August by the New Mexico Livestock Board soon will be allowed to mingle again as a herd. Their numbers grew from the dozen originally picked up and then returned three weeks ago to pens on Fort Stanton Road to 13, Lorri Burnett said. One colt, who still is roaming free, will be added to the mix while the court debate continues over whether the horses are wild and not under the jurisdiction of the livestock board or if they are estray livestock and fall under its rules. Robbie Davis, who heads the fund raising effort to cover the care and feeding of the horses, put together a report for supporters. Davis said she’s received inquiries about one of the other mares who lives on the fringes of the herd. The horses will be released from the small corrals as soon as possible this week. The owner of the property has been out of town and all of the signers who accepted responsibility for the horses, must agree to the move, which essentially will be to open the gates and allow the horses to mingle in a larger fenced pasture area. “We currently have approximately eight weeks’ worth of hay for them,” Davis said. 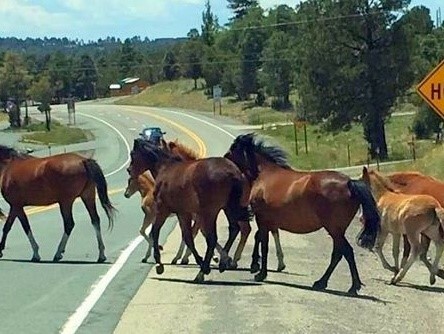 Fund raising efforts continue with supporters able to drop a check off at any City Bank of New Mexico office for the Wild Horses of Lincoln County, or to contribute to the gofundme account. The people to contact are: Sherry Snow Turner, Sandy Tubb, Debra L Anderson, John Reiner, Kathleen Prewitt, Jessica Valenzuela, Peggy Annen-Schoemann, Beverly Alexander, Pamela Brink, Kim Elkins or Davis. No date has been set for the next hearing, but Davis urged supporters to remain optimistic. O’Dowd will be in Ruidoso Monday. Burnett hopes to build on that beginning to develop a more elaborate art competition with the goal of creating Christmas and note cards to benefit the horses.